Although not due out until next year, the newest game in the Deus Ex franchise has been gaining a lot of attention thanks to its visual look and graphic appeal. The gameplay combines futuristic weaponry with mechanical augmentations that give the augmented superhuman powers. The new trailer released highlights some of the possibilities. Developer Eidos has released the first example of that gameplay style that combines those elements. The story takes place in 2027, 25 years before the events of the original Deus Ex. You play as Adam Jensen, a private security officer working for a company that specializes in mechanical augmentations. An attack leaves him wounded and in need of augmentation. 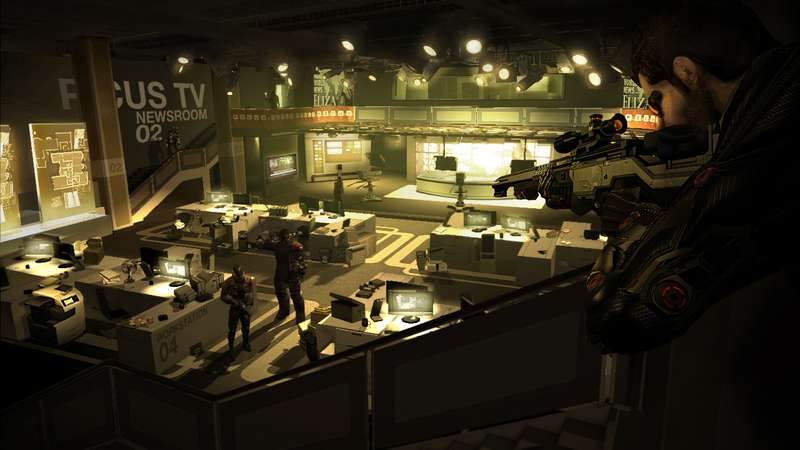 Deus Ex: Human Revolution is due out on PC, PS3, and Xbox 360 in February 2011.